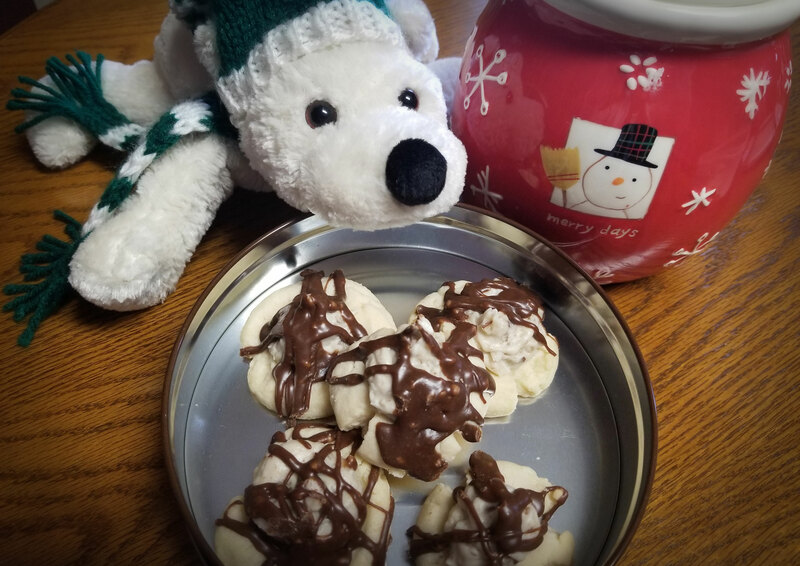 It’s the season we all love; one of tradition, giving and togetherness—especially when it comes to Christmas cookies! This year Howard Wiedenhoeft baked six varieties and of them his favorite is Mountain Cookies, by Taste of Home. “I’ve been making these cookies over 20 years and everyone keeps asking for them,” says Howard, who enjoys more time in the kitchen since his retirement in 2014 as Forward’s president and CEO. He now serves as Forward’s claim manager. Here’s Howard’s version of Mountain Cookies. They’re full of Wisconsin’s dairy goodness, so enjoy! And please share with us your favorite cookies! In a mixing bowl, cream butter, sugar and vanilla. In a separate bowl, whisk together flour and salt; gradually add to the creamed mixture. Mix well. Shape into 1-inch balls, making sure they are not any larger. Place balls two inches apart on ungreased baking sheets. Make a deep indentation in the center of each cookie. Bake at 350° for 10-12 minutes or until the edges just start to brown. Remove to wire racks to cool completely. Beat cream cheese, sugar, flour and vanilla in a mixing bowl. Add pecans and coconut; mix well. Spoon 1/2 teaspoon into each cookie. Heat chocolate chips, butter and water in a small saucepan until melted. Stir in sugar. Drizzle over cookies. Yield: 4 dozen.